Has someone you know got a penchant for a cheeky glass of white from time to time? 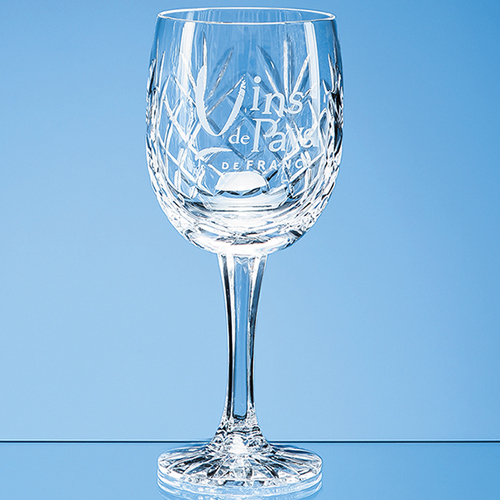 This stunning 285ml Glencoe lead crystal panel goblet is perfect for a cool glass of wine. It incorporates a classic diamond and wedge cut pattern and has space for engraving your chosen; logo, crest or message. It would be a stylish and sophisticated memento or gift for any occasion such as a work farewell, engagement, birthday or anniversary. Available as an option is a beautiful presentation box with blue satin lining.